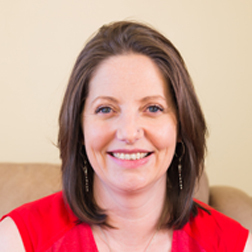 Meet Carley Haynes, a NetCommunity, Online Express, Raiser's Edge, Sphere, and BBMS user, with the Ronald McDonald House Charities Northern Alberta. 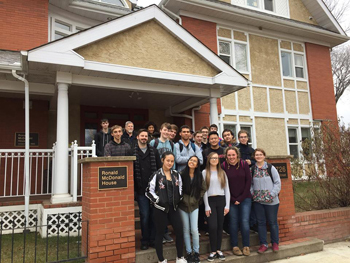 This week's Community Corner spotlight shines on NetCommunity, Sphere, BBMS, Online Express, and Raiser's Edge user, Carley Haynes, with the Ronald McDonald House Charities Northern Alberta. Tell us about your family (fur babies count!) "I have a wonderful husband and two little monsters aged 6 and 3! My extended family is spread between Australia and England and we are currently living in Canada!" Where do you live? "Edmonton, Canada." What do you like to do for fun? "I like going on walks or bike rides as a family. I am studying psychology part-time as well so that takes up a large chunk of any free time I have!" What’s a life achievement you are particularly proud of? "I spent 15 years in the Royal Australian Air Force. The amazing experiences and travel that I was able to enjoy during that time will forever be some of my favourite memories. I look forward to telling my kids all about it one day!" What’s one memory that always makes you smile? "A picture that always makes me smile is one of my son when he was about 8 months old. We went to Uluru, Australia and walked around the base of it. It was pouring with rain, mud up to our ankles and he was in the baby carrier, wrapped in a plastic poncho, grinning his head off! He was so happy to be out and about! He still loves that sort of adventure to this day!" What is one interesting fact about yourself most people don't know? "I like trying weird and wonderful food when I travel! [wink]"
Tell us about your organization "I work at Ronald McDonald House Charities Northern Alberta. It is an amazing place to work! With a staff of highly motivated individuals who strive every day to make the world a better place, it is a joy to come to work. The House has 32 rooms and an occupancy rate of over 90% throughout the year. We have programs that attempt to make our families lives better with things such as a shuttle to the hospital that runs 7 days a week, 14 hours a day, an education program for both our sick kids and their siblings and regular hairdressers, massage therapists and beauty technicians that come in to give our parents (and kids) a much needed lift. It is both an inspiring and humbling place to be during the week!" What’s a typical day like for you? "My days are always so different but can consist of emails, gift processing, donor stewardship, online training, staff training, reporting, battling with mail merges.... the list goes on! A day at RMHCNA could also entail doing craft with the kids, moving furniture, taking donors on a tour of the house or sitting down and making connections with families who are facing tough times with a child that is sick. No two days are the same, I love it!" What’s the best part of your job? "The best part of this job is knowing that you are making a difference... sometimes small, sometimes big, but always a difference. On the database side of things I love teaching people something new and seeing their lives get a little bit easier as they realise that this scary thing called Raiser's Edge isn't quite as scary as they thought it was!" What advice would you give someone starting out in the non-profit field? "Take a step back and learn, learn, learn, learn! Never stop learning, never stop reading, never stop improving the way you do things! There are so many facets to this industry and to the databases and software that we use that you can never afford to sit back and think you have everything sorted! Also, don't get into this job if you like the satisfaction of a completed task!!!! I've slowly come to terms with the fact that most database jobs never end!! It's not a bad thing, but it's a mindset change definitely!" What do you love about the Blackbaud Community? "I love the advice! It is a fabulous group of like-minded people who either have been there done that or who are struggling with the same questions that you are! I love that there is an unspoken 'no judgement' rule that allows you to feel comfortable asking sometimes silly questions. I love seeing familiar faces pop up all over the place and knowing that there are great resources just a few clicks away is my nice security blanket!!" Finally, if you were a sandwich - what kind of sandwich would you be? : "I would be a pineapple, alfalfa and cream cheese sandwich.... it's always been a weird favourite!"